Matt West, two-time AVCA All-American and All-MPSF as a setter at Pepperdine, will be playing for a new team in 2018-2019. While he was a part of the Kladno Volejbal CZ team that finished 3rd in the regular season of the Czech Extraliga and reached the finals of the playoffs, he will be making the move to Volejbal Brno this upcoming year. Brno finished 5th in the regular season last year and lost to VK CEZ Karlovarsko (the eventual champions) in the quarterfinals of the playoffs. West is the fourth player from the United States to be announced with the a team in the Czech Extraliga this summer. Matt Walsh is starting his career with AERO Odolena Voda, Mitch Beal is moving to VK Ostrava, and Jalen Penrose will be playing his rookie season for VK CEZ Karlovarsko. This is West’s fourth squad in four years as a professional. 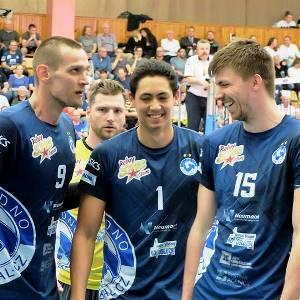 After he graduated in 2015, he played for SWD powervolleys Duren in the German Bundesliga. The next season he spent at Abiant Lycurgus in the Dutch Eredivisie and the CEV Champions League. Just last year he moved over to the Czech Republic to play for Kladno.